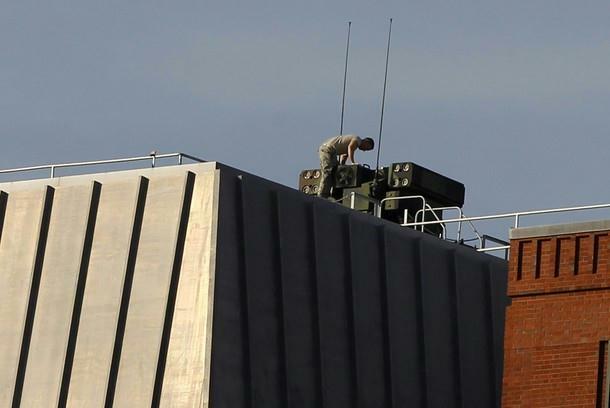 I found the White House missile battery. 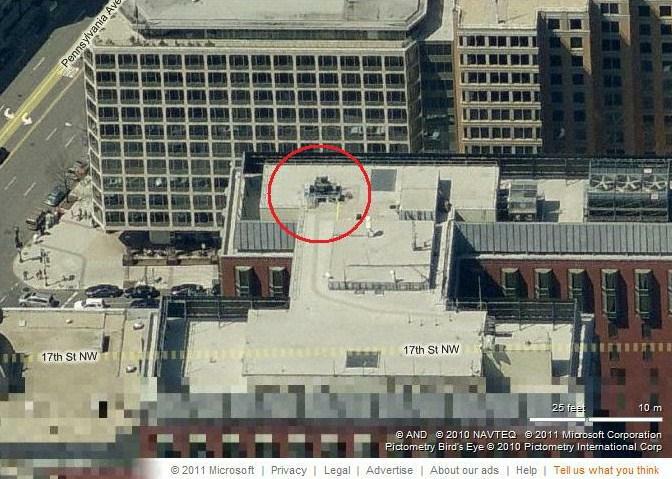 It's on top of the New Executive Office building. 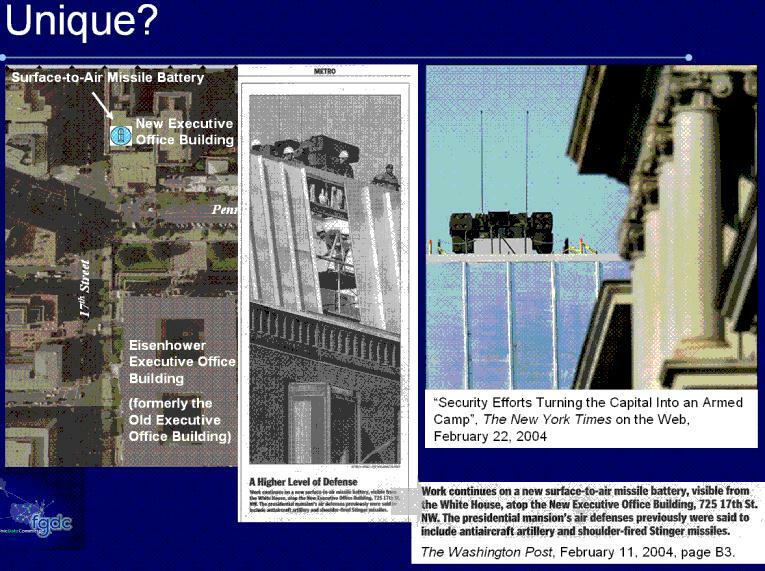 Let's hypothesize that there is a surface-to-air missile battery (shown as a light blue symbol in the upper left) and that this battery is a method of protecting the annotated facilities. 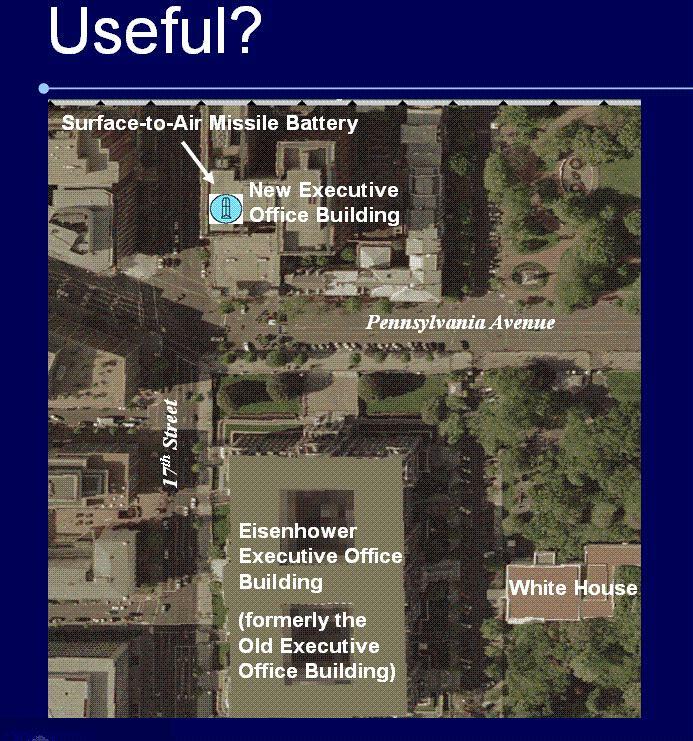 So knowledge of it might be "useful" to an adversary and the annotated image passes the "usefulness" test. On to the "uniqueness" part of the test. 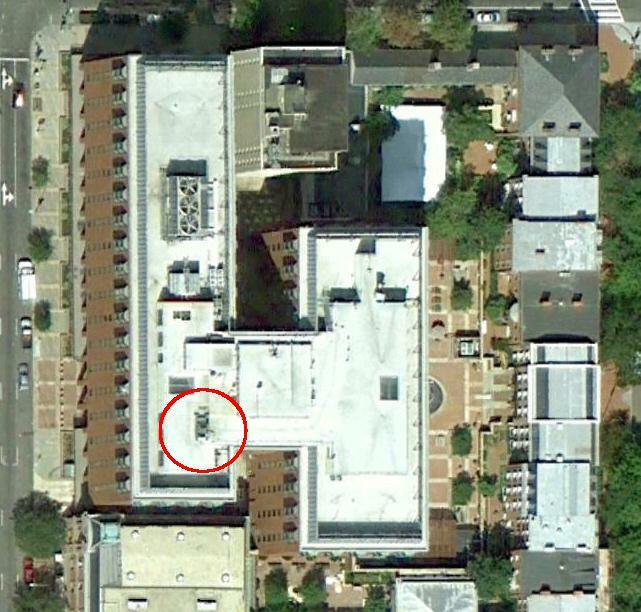 It turns out, however, that the battery is not hypothetical and our geospatial data are not the only source of this information. In fact, as illustrated by the newspaper clippings, the information is quite well known and is readily observable. 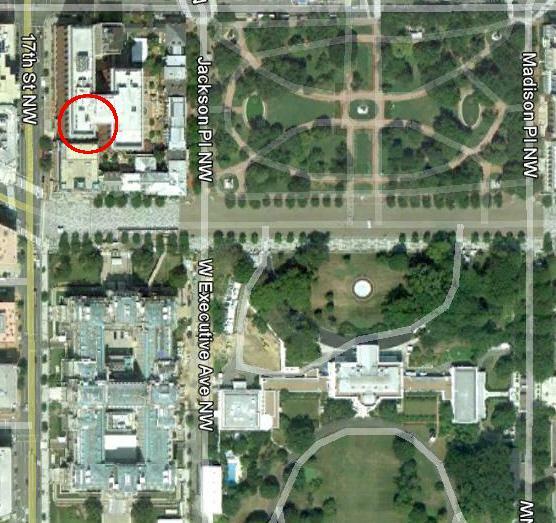 (If you're ever walking north on 17th Street in front of the Old Executive Office Building, look up.) So the annotated image fails the "uniqueness" test and safeguards are not justified.